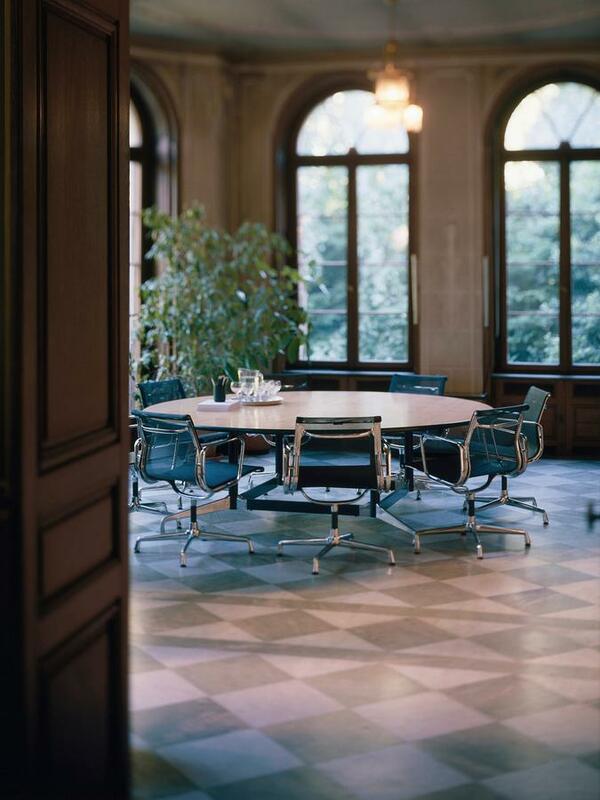 The Vitra Aluminium Chair EA 107/EA 108 was designed in 1958 by Ray & Charles Eames, and with its elegant cast aluminium side panels is perfectly suitable as representative conference chairs but also for the private sector. 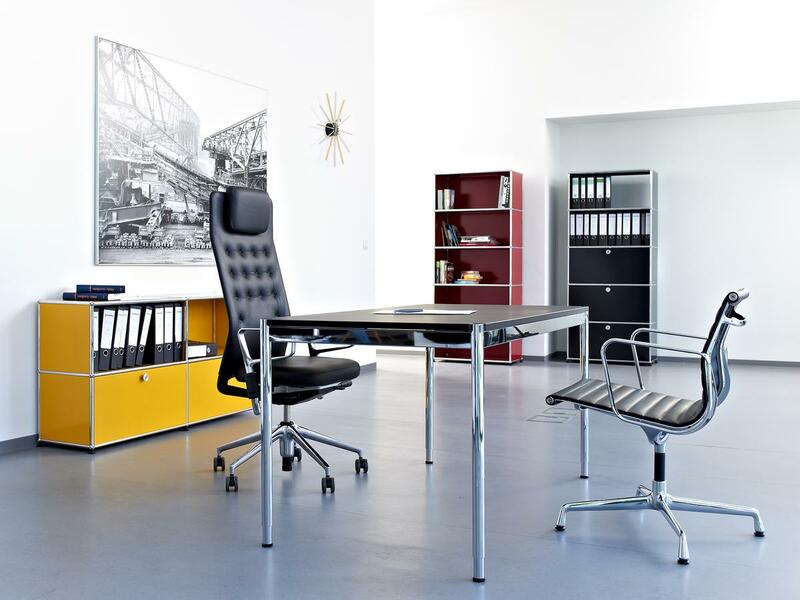 Available in a range of coloured leather, Hopsack cover or a net-mesh version, the two chairs are optically identical, the Vitra EA 108 is however a swivel chair, in contrast to the static EA 107. Variants In the leather version of the back cover is color-matched in the fabric Plano. Care Dust and lint can be easily vacuumed. To treat stains use a damp cloth and a mild, non-abrasive detergent. Professional cleaning should be done in the mounted state and with the use of upholstery foam or using a mobile wash-extraction device. Please maintain and clean the leather according to the supplied information brochure. 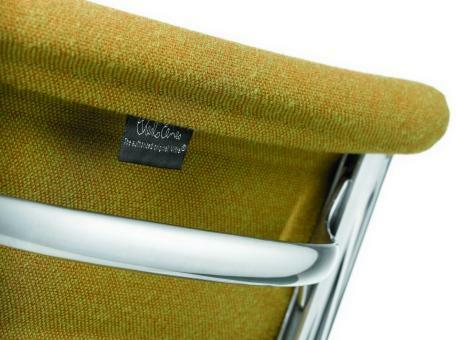 With the Vitra Aluminium Chair and Soft Pad groups only the complete seat unit can be replaced; a re-covering is not possible. Such a replacement should only be undertaken by a Vitra qualified service technician. 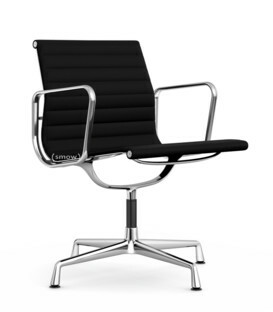 How durable is the Vitra Eames Aluminium Chair? 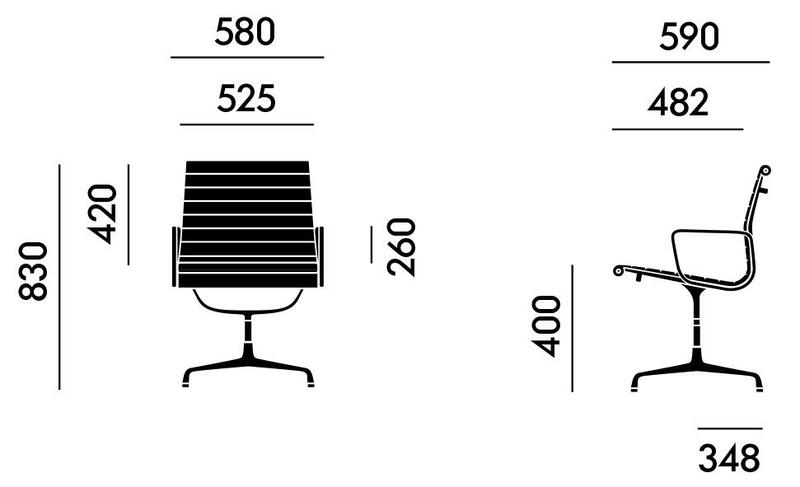 The Vitra Eames Aluminium Chairs are tested to 110 kg. If the user is heavier, the chair can still be used but the wear increases. 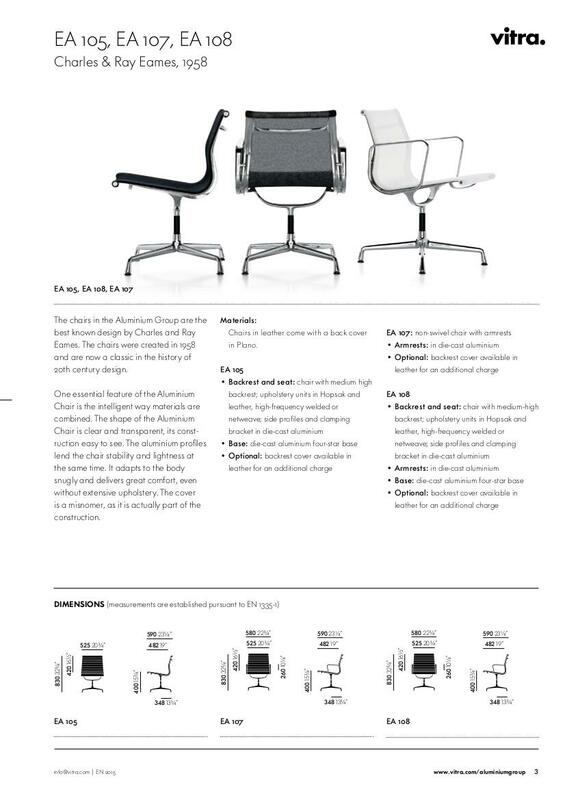 Not only the user's weight plays a major role in the durability of the chair, but also the users habits. If, for example, you regularly "drop" into the chair or used the armrests to help you get out of the chair, localised stress peaks can occur which can be greater than the burden of a "static" very heavy user. Is the chair also available with castors? No. The use of castors on a 4-star base is not permitted by law and if fitted the chair loses its safety certificate and guarantee. 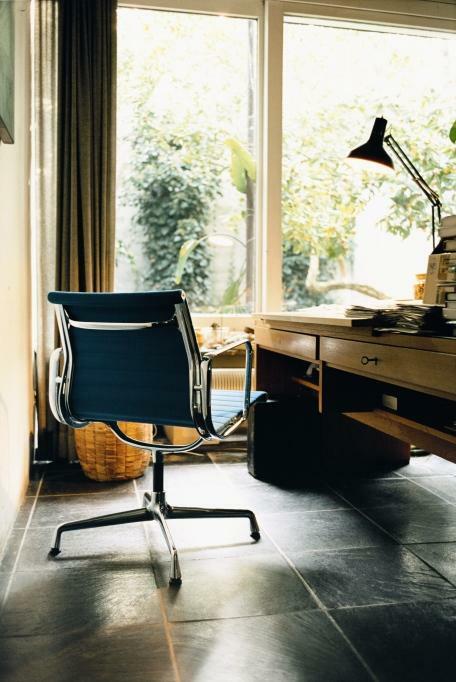 The EA 107 / EA 108 chairs are the result of a contract Charles and Ray Eames' received from their long-time friend the architect Eero Saarinen in the mid-1950s. He was looking for a quality chair for the exterior of the private home of Herman Miller, a house which he had designed in collaboration with Alexander Girard. Following a prolonged development phase Charles and Ray Eames presented the first prototypes of their Aluminium Chairs, which were designed as a whole series based on the same principle: seat and back form two cast aluminium side panels, between which are stretched the leather or fabric. 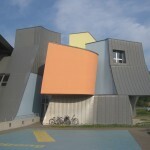 The "cover" is thus no external wrapping, but a fundamental part of the design. 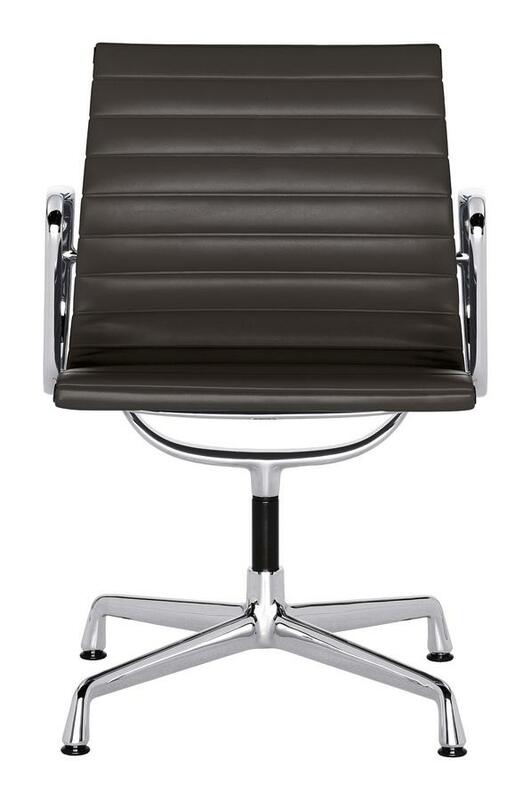 The shape of the side panels is based in turn on the human spine, so that the Eames EA 108 optimally adapts to the body shape of the person sitting. 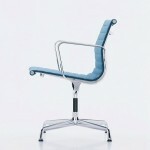 The Vitra EA 108 Aluminium Chair has a medium-high backrest and armrests and is. in contrast to the externally identical Vitra EA 107, rotatable. The EA 108 and EA 107 Aluminium Chair are particularly suitable as an elegant and prestigious conference chairs, but they also fit effortlessly into living rooms. 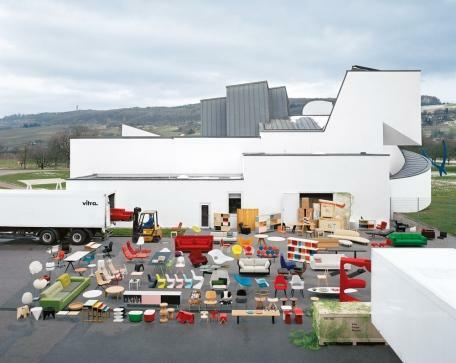 The story of Vitra as a designer furniture manufacturer begins with an Eames Plastic Chair in the 1950s, and the licenses for the Eames chairs EA 108 and EA 107 were similarly acquired early in the the Swiss furniture manufacturer's history. In keeping with the design philosophy of Ray and Charles Eames, the quality Vitra aluminium chairs are distinguished by a timeless aesthetic and proud durability. 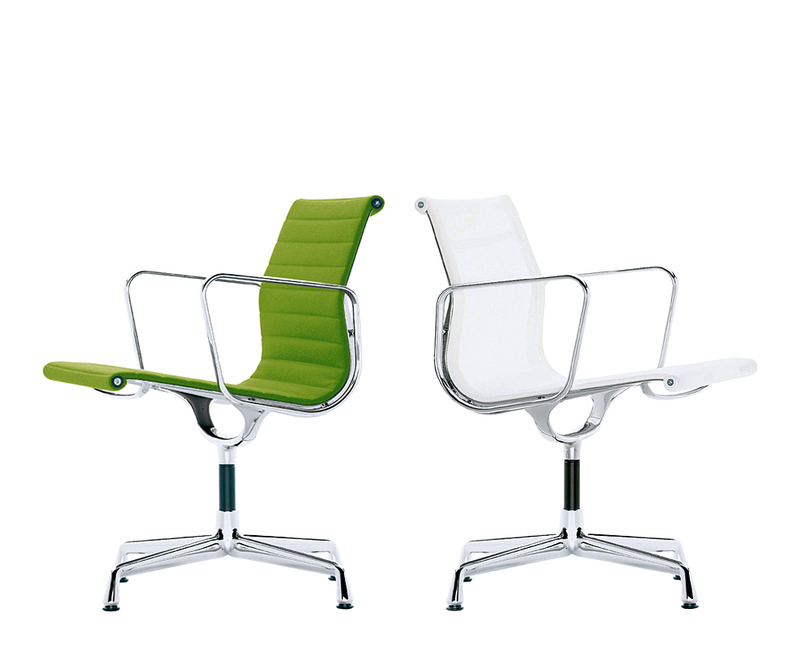 a proud durability which allows Vitra to offer a thirty-year guarantee on all chairs in the Vitra Aluminium Group. The side sections, flexible metal elements, armrests and feet of the aluminium chairs are made from die-cast aluminium, and are available in a polished and a chrome plated version. While the Eames' originally made their aluminium chair available in the weather-resistant synthetic leather "Koroseal" or "Naugahyde", today a wider selection of fabrics is available for the Vitra EA 108 including genuine leather and Hopsak. The continued success of Charles and Ray Eames is due in large part to the sensitivity with which the Eames responded in their work to the development of American during the postwar era. During this period people's needs were redefined by. for example, the emergence of pop culture and rapid technological progress. Life, so the new spirit of the age, should be more flexible and consumer goods be available for large population groups. Charles and Ray Eames developed functional, objective forms and new production methods, with which one could respond to these needs. They decided to make their most popular designs in the innovative, new, materials of plastic and aluminium; materials which were suitable for mass production and entirely new form languages. 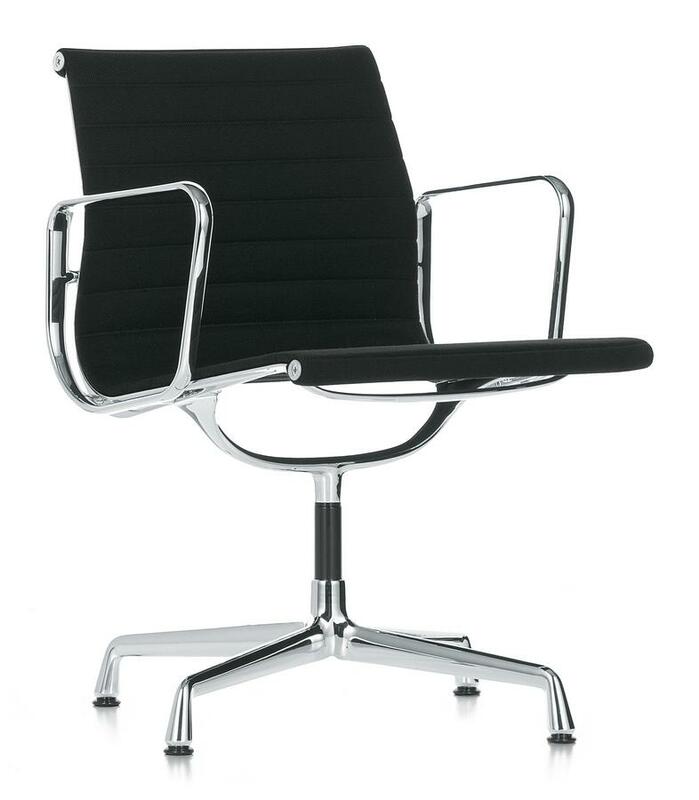 The Aluminium Group Eames EA includes in addition to the 108 and EA 107, for example, the 117 swivel chairs on castors and EA 119. 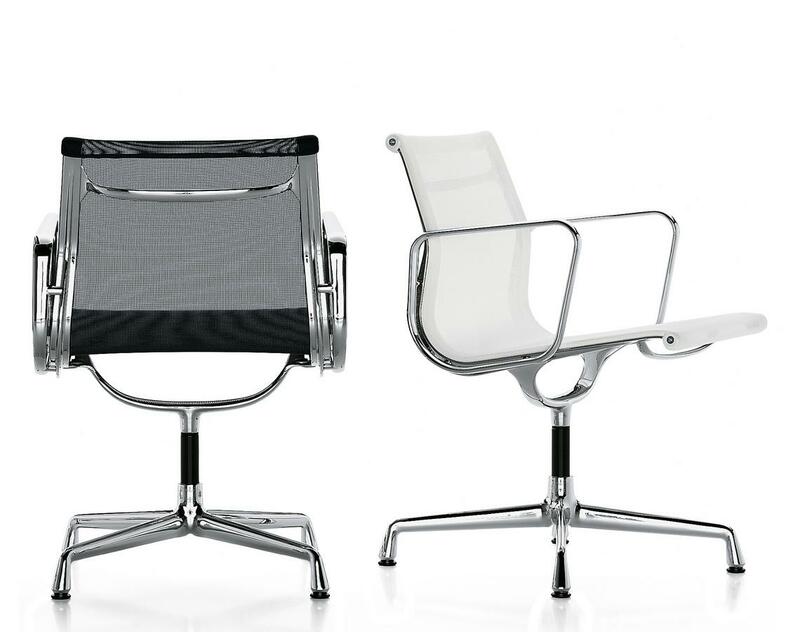 Charles and Ray Eames are among the most important protagonists of the post-war American design. And two of the world's most influential designers. The pair met for the first time in 1940 at the Cranbrook Academy of Arts. 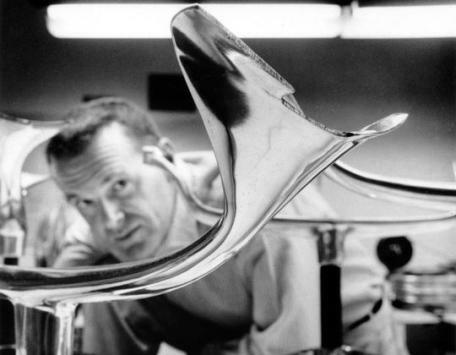 There Charles Eames and his friend Eero Saarinen were preparing their entry for the MoMA New York's "Organic Design in Home Furnishings" competition, and Ray Kaiser was assigned to assist. A year after their first meeting Ray and Charles married and moved to Los Angeles where they established a design studio. 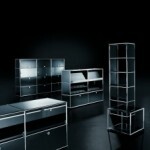 Ray's role in this collaboration has been underestimated for years; the media interest being much more Charles Eames. But it is today undisputed that Ray Eames made a significant contribution with her artistic knowledge and was every bit as important to the development of the Eames' designs as Charles. Until the late 1970s Charles and Ray Eames developed innumerate furniture, film, architecture, graphic, textile and toy projects. After her husband's death on August 21st 1978 Ray Eames Eames closed the studio. She herself died ten years later on August 21st 1988. 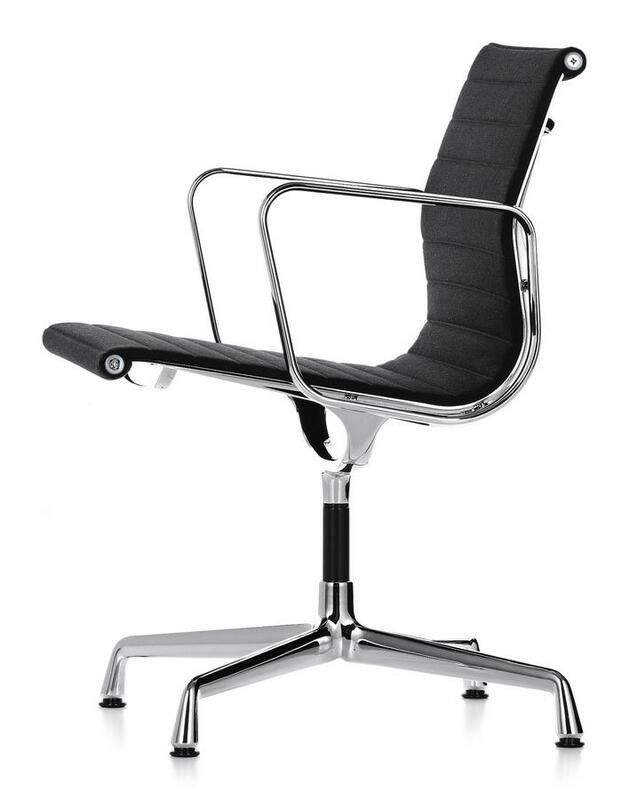 As the sole licensee of the Eames' chairs in Europe Vitra exclusively produces all Eames chairs, including the Eames aluminium chair EA 108. 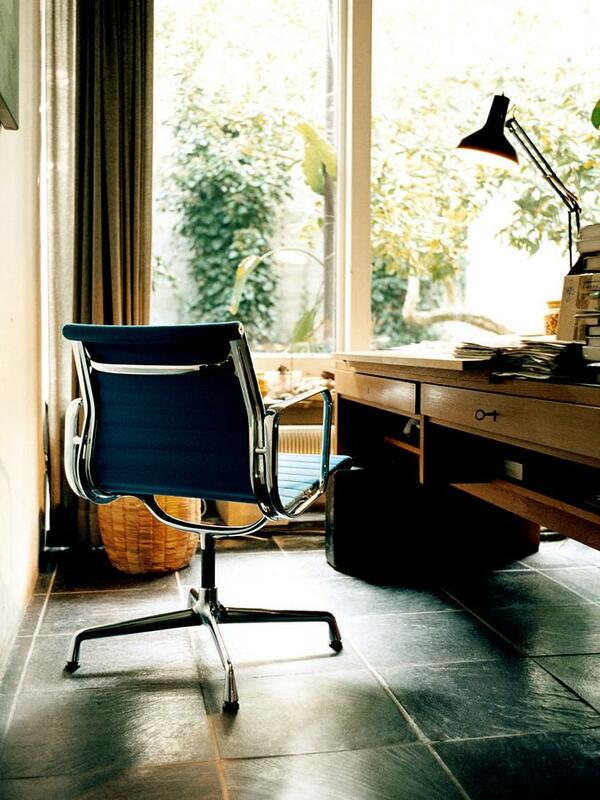 The relationship between Vitra and the Eames began in 1953 when Willi and Erika Fehlbaum the owners of a, then, shop-fitting business from Birsfelden, Switzerland discovered an Eames chair in a New York shop window. 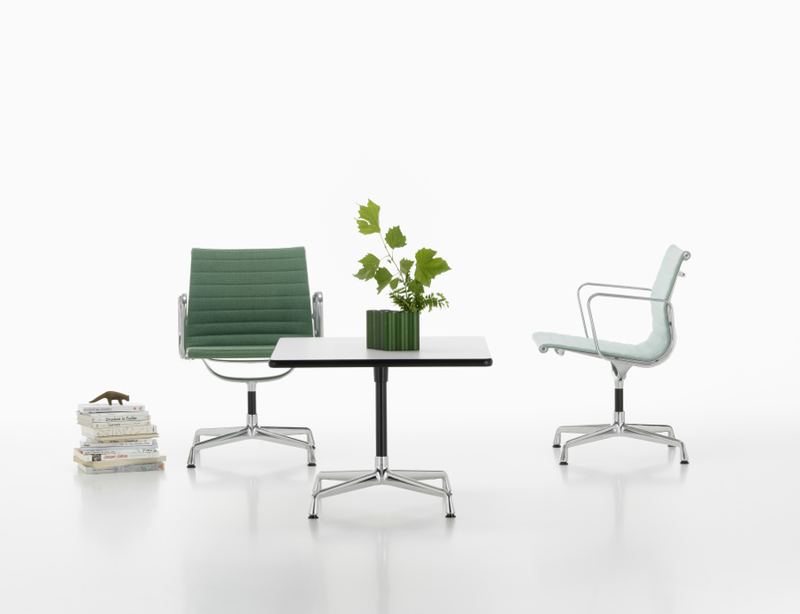 Their spontaneous enthusiasm soon led to negotiations with the American producers of Eames furniture, Herman Miller. After three years of trans-atlantic negotiations Vitra were awarded the exclusive license for Charles and Ray Eames' furniture designs. The relationship between Vitra and Charles and Ray Eames eventually grew so close that the Eames archive passed into the possession of Vitra upon the pair's deaths, and not Herman Miller. 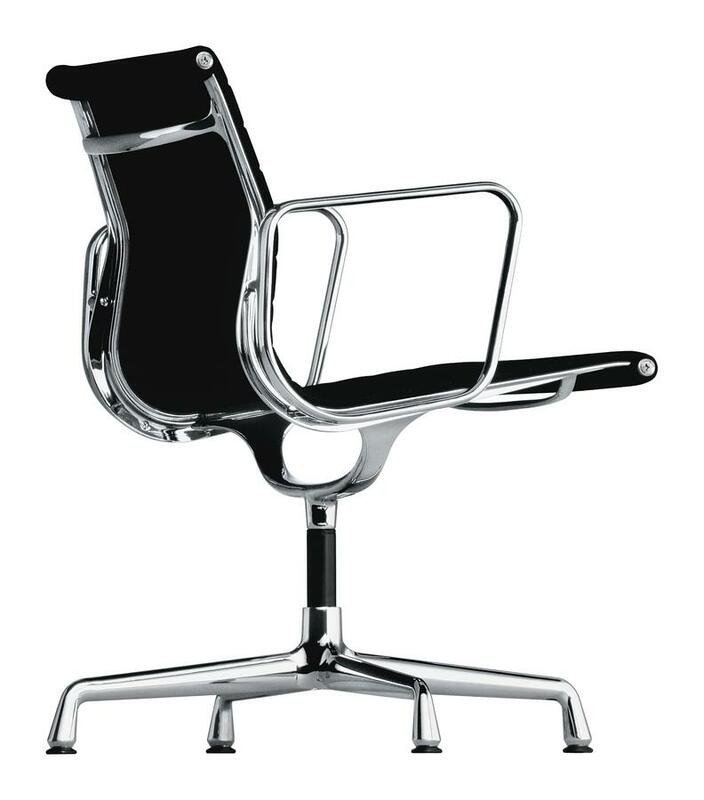 In addition to Charles and Ray Eames the Vitra portfolio has been shaped over the years by designers such as Verner Panton, with whom the famous Panton Chair was jointly developed, George Nelson and Jean Prouvé. More recently the company story has been guided by the likes of Hella Jongerius, Maarten van Severen or Ronan and Erwan Bouroullec.